It is my first time to celebrate Christmas in Europe. 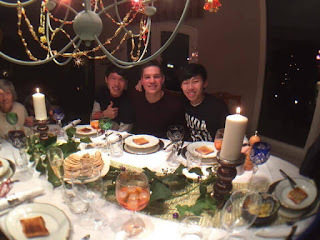 Thanks for Peter inviting us to his home and celebrate Christmas with his family. In fact, I didn't believe that people would put "real" presents under the Christmas tree before I came here. But now I realize that it's true. The best is that they will prepare presents for family in Christmas. The presents could be clothes, shoes, smart phone, furnishings, etc. I like Peter and his family because they let me feel what love is through their living. 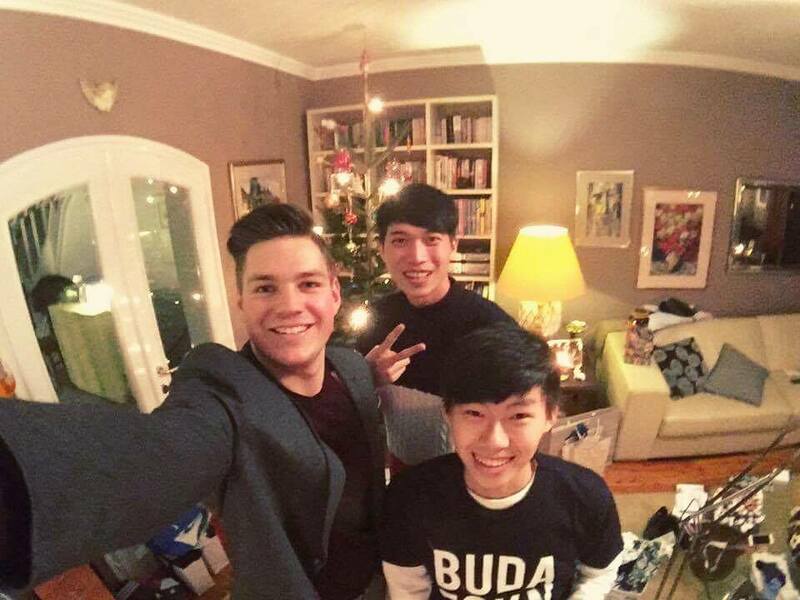 Christmas in Hungary is like Chinese New Year in Taiwan. It's just little difference between celebrations. I’m surprised that no any shop, market, even the transportation system open or operate in Christmas Eve. (Stores won't close during Chinese New Year in Taiwan.) I like such of this custom, although it is not convenience for someone. Anybody can go home and eat dinner with family. Peter's mom made a lot of food for Christmas Eve (salmon, goose liver with toast, etc). I like them so much I’ll never forget the day in my lifetime.